The need to define the parameters of the casting area is crucial in understanding the fundamentals of spey casting. We all seem to understand the principles of right and left, front and back, except when we put ourselves in a river with an unfamiliar rod. 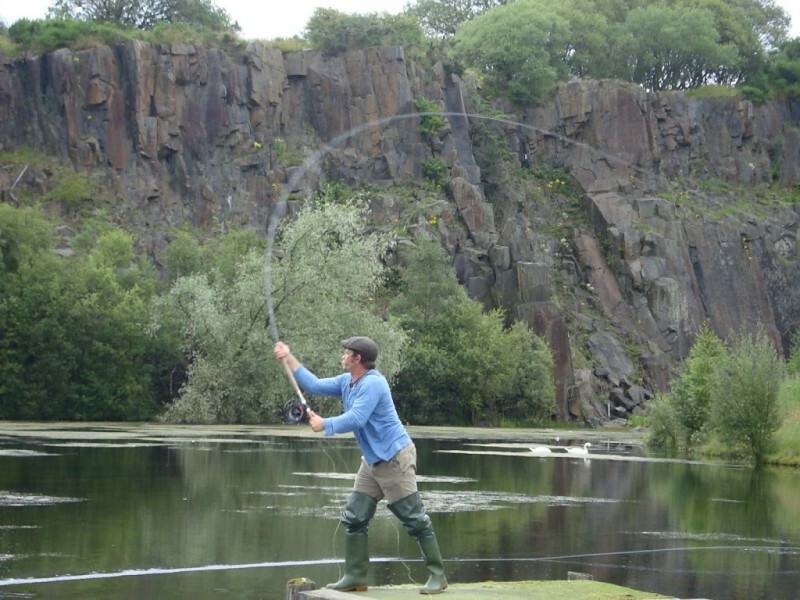 The simplistic idea of these principles is key to understanding placement in the area given to casters during their fishing. By establishing right and left, front and back, we can draw quadrants with the rod in hand. These parameters help us define where the anchor should be placed in relation with each cast and on different sides of the body. They also help us to understand and allow the depth of each cast, how far our D-loop can travel behind us given our casting area. The first parameter is right and left. This is the easiest. 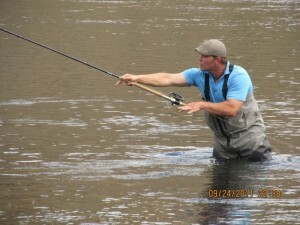 We have already set our target line with our upriver foot or hips and shoulders. By placing the Spey rod directly in the center of our sternum and pointing at the target, we can look to the left of the rod and see the left quadrant. We can look to the right and see the right quadrant. The right and left quadrants help us to gather the information we need on placing our anchor, depending on which side of the body we are casting from. For casts made from the right side of the body, all parts of the cast must finish inside the front right quadrant. All casts that come off the left will finish in the front left quadrant. Establishing front and back seems like just as easy a proposition, but in reality, this is where parameters become difficult. 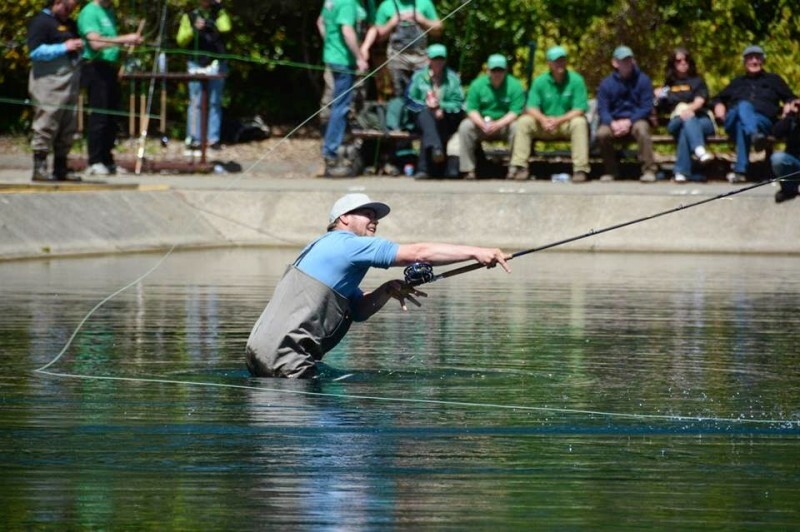 Before this, Spey casting has been taught in a two-dimensional manner. We stand with arms and legs shoulder width apart and cast 90 degrees to the flow of current. In reality, that couldn’t be more wrong. 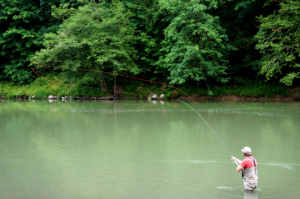 We seldom cast at a 90-degree angle to the current, and when we do, we would simply plant our upriver foot, and turn our sternum, at that angle to make sure we achieve it. 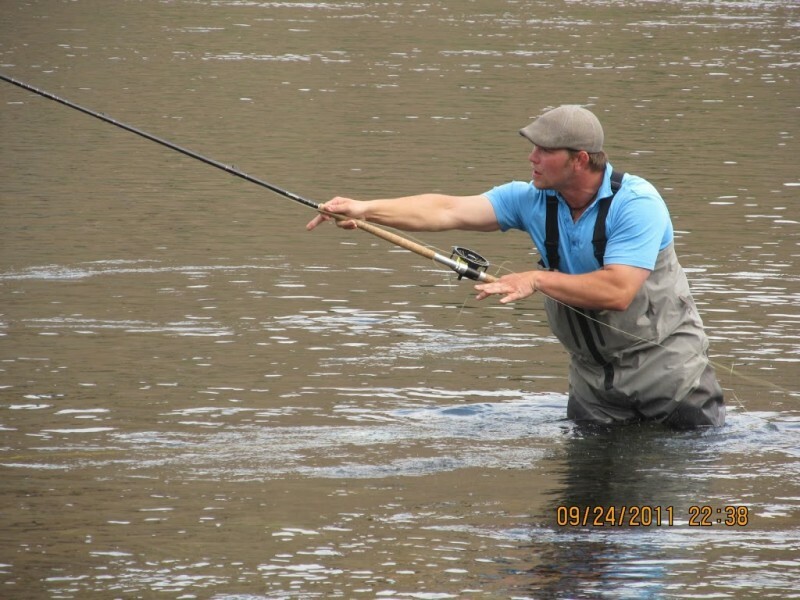 To teach front and back, I have students place a rod firmly against their shoulders, one end pointed upriver and the other downriver. 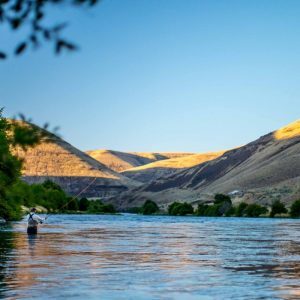 As we set our target line, we will notice this angle of our shoulders and rod and our front and back change dramatically with the flow of the river. What was once behind us is in front of us when faced at 90 degrees. Some of what was in front of us is now behind us. This optical illusion created by the river and the turning of our torso throws many people off. What may seem different to the has no bearing on the real fundamentals and parameters of the Spey cast. Maintaining the same anchor and D-loop positions throughout the cast. We can see very plainly the anchor and line are again on the same side as the cast is coming off and well in front of the caster, perfect position. Also notice the shoulders and body angle produced by rotating not pulling the line around. By keeping our anchor in front of our front line and not letting it drift back behind, us we can achieve more powerful casts by letting the line pull the anchor from the river. If we let the anchor land or drift behind us, the rod and our physical strength are what we use to cast a line. 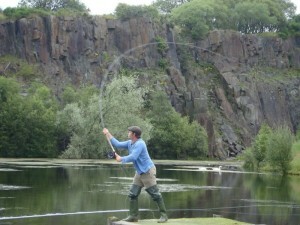 This is what I describe as the difference between casting and throwing. 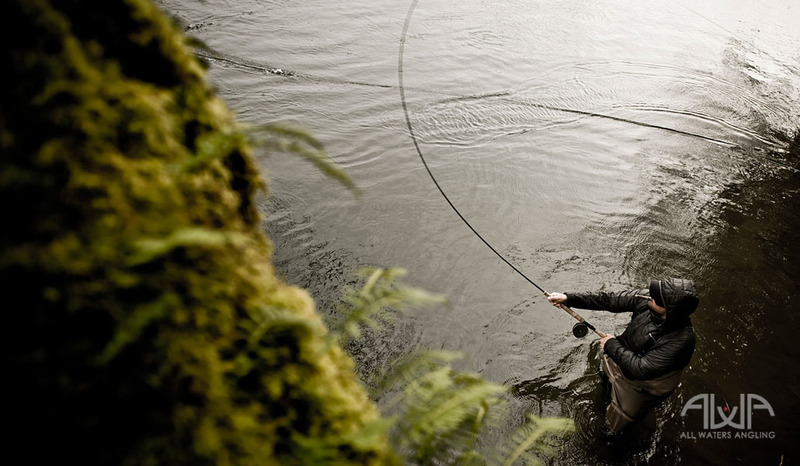 When you cast a line, it pulls itself from the water. When you “throw” a line, you physically remove it from the water. Another thing you can learn easily by placing anchor in front of the line or behind the line is how our loops and lines react to what is happening. When we can keep our anchor in front of the front line and in the correct quadrant, we will notice we can form a far more dynamic loop. When the anchor drifts back behind us, it’s hard to keep a wedge-shaped loop. The loop opens up, becomes extremely wind resistant, and loses much speed. 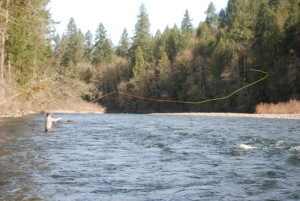 On the other hand, the farther back we place our anchor behind the line, the further back our “D” loop or back cast goes, and the chances of catching some streamside vegetation become greater. So controlling the depth of the “D” loop is another bonus of correct anchor placement. 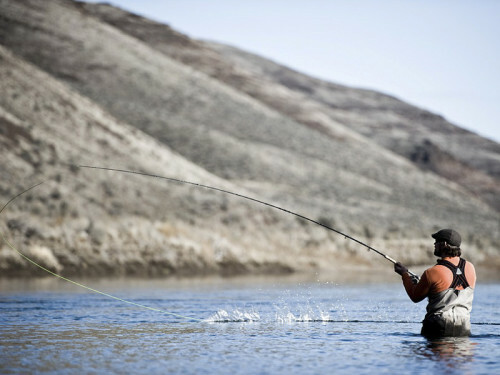 This allows the angler to fish more places with more consistency. This aerial view of the anchor and forward stroke shows even in tight quarters these principles apply, maybe more so.